Maison Mes Amis is one of our favourite restaurants on Chatsworth Road in Chesterfield. We’ve been there for bottomless bubble brunch, champagne tasting and champagne afternoon tea – can you see a theme here?! Petite Maison is the cute little cocktail bar next door to the main restaurant and my bestie and I headed over on Friday straight from work to wind down for the weekend. On Fridays Petite Maison do bottomless bubbles from 5pm – 7pm accompanied by cheese, bread and pate, so it’s the perfect place to go straight from the office. The atmosphere is super relaxed and we had a song request sheet so we could pick what music we wanted on. I went for a couple of classics – Lionel Richie All Night Long, guaranteed to get you on the dancefloor, and Blackstreet No Diggity because…well, enough said. 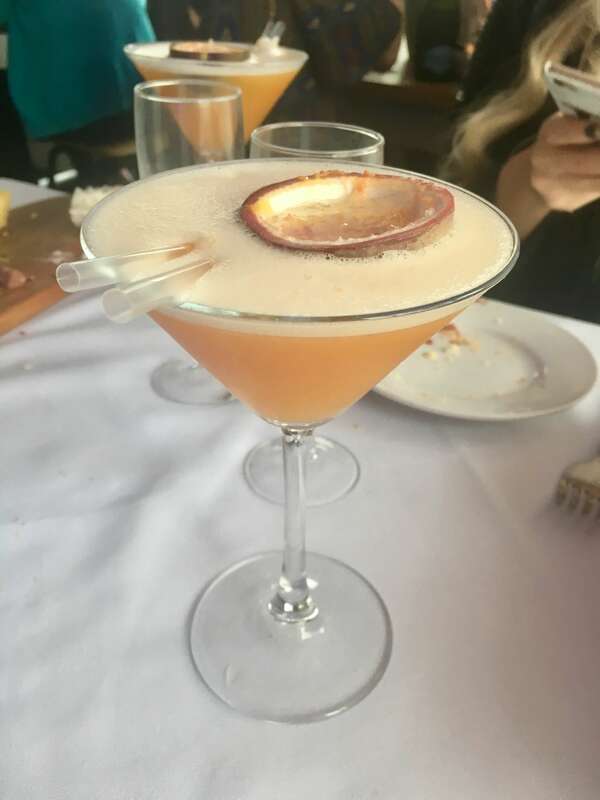 The two hour drinking and eating experience costs just £20 each which I think is pretty reasonable for saying you can drink as much prosecco as you want – you can easily get your money’s worth! There’s a little bell to ring when your glass gets empty and the waiters come and top you up. The waiter we had was also really nice and explained the “rules” to us beforehand…which were basically just wait til your glass gets empty then ring the bell! 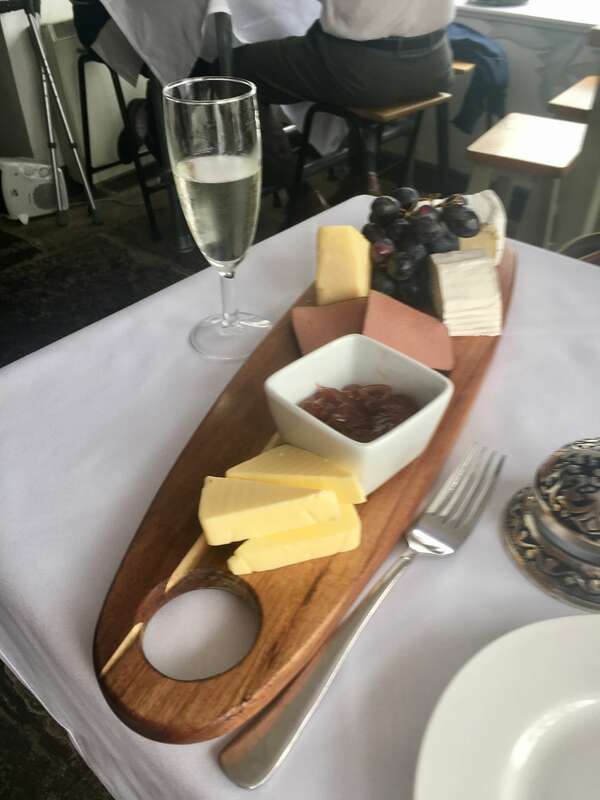 The cheese and pate board is pretty impressive too – you can a huge hunk of French bread each plus butter, pate and an assortment of cheeses including a delicious creamy brie and goat’s cheese which is an essential helping of carbs for a night out. Bubbles, cheese and bread? I thought I’d gone to heaven! At 7pm our waiter came round and topped us up for one last time but we stayed for a couple of pornstar martinis (it was Friday after all!) then headed home for an early night. All in all – the perfect post-work wind down. 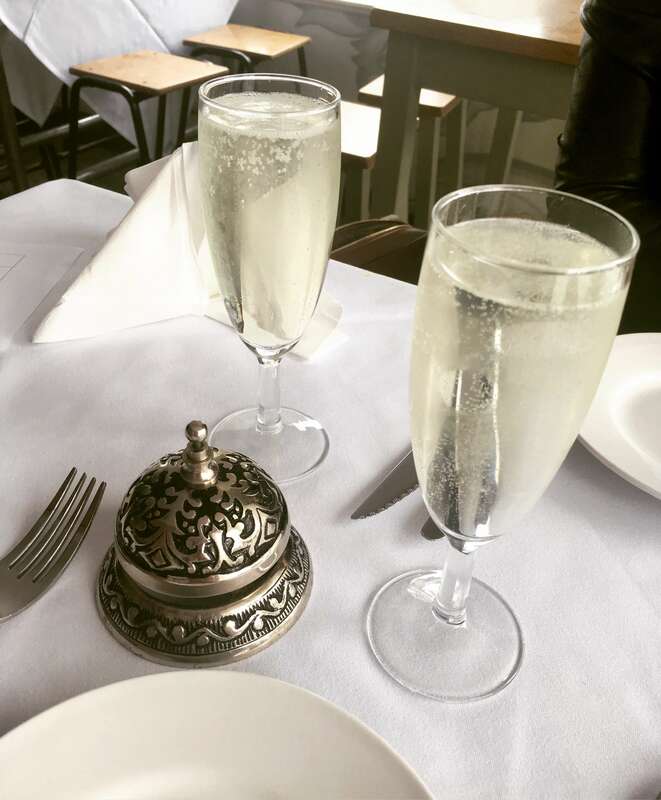 Find out more about Petite Maison and their bottomless bubbles Fridays here.